2.25 pm 13 October 1999. Western side of Street near intersection with Lytton Road. 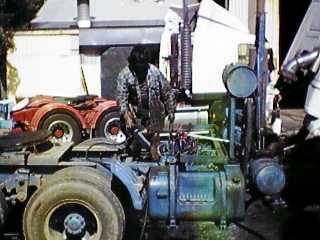 Worker cleaning a prime mover with a high pressure cleaner. 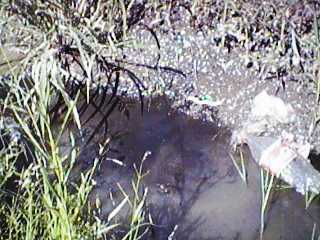 The side or the road is a dirt drain which is tidal on high tides. 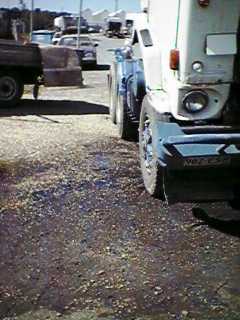 Oil was running into the drain as a result of cleaning the prime mover. 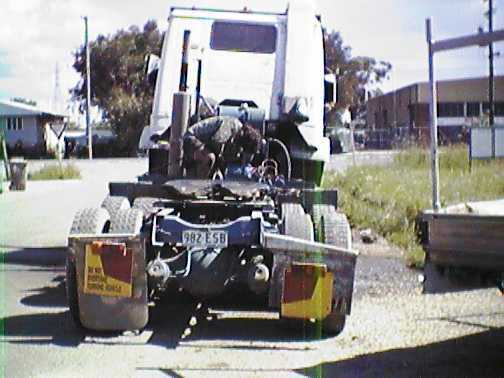 Didn't the Brisbane City Council introduce an Environmental Best Practise for Vehicle Repair Stations? How did this repair station become authorised? What action will now be taken to inspect the premises for compliance? A BCC Inspection (same afternoon) revealed that sawdust had been placed on the ground and the oil in the drain had been cleaned up. A $240 fine was imposed by the Brisbane City Council Officer on the business. If the oil had still been visable in the drain, a fine of $480 would have been applicable. Congratulation to the Staff of the Call Centre and the After Hours Inspector who attended. Well Done!!!! 1. 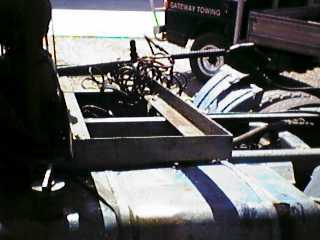 Vehicle being high Pressure cleaned. 3. Smaller picture of worker. 4. Oil on water surface in storm water drain. 5. Oil on water surface in storm water drain. 6. 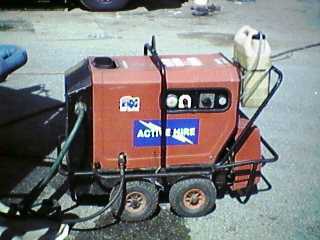 High-Pressure cleaner being used. 7. View from front of vehicle. 8. 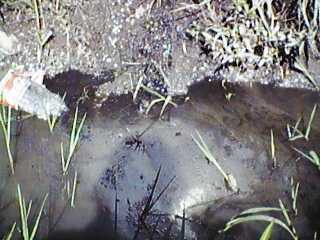 Another view of oil in storm water drain. 9. View showing rear of prime mover and high pressure cleaning equipment used.